There are no comments for Antelope Swirl . Click here to post the first comment. 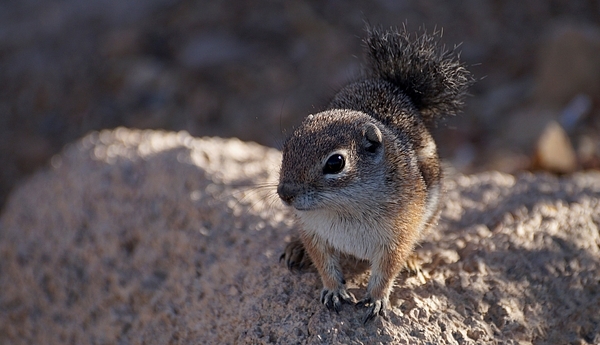 The Harris's antelope squirrel is gray in color with some brown on its upper front and back legs. It has a white stripe on its side, a white underbelly and a bushy black tail that it often carries arched over its back like an umbrella to help shade their bodies. Despite the hot desert weather, you will often see these squirrels dashing about in the middle of the day. They will stay out in the heat collecting food until their body reaches its maximum temperature and then they will rest in the shade until that temperature has lowered. This squirrel prefers rocky desert habitats that contain cactus and shrubs. 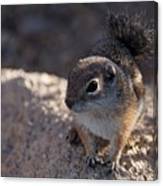 They can be found in western, central and southern Arizona and extreme southwest New Mexico and northwestern Sonora, Mexico. 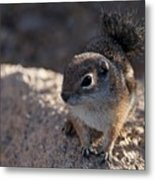 In Arizona, antelope squirrels are classified as non-game animals by the Arizona Game and Fish Department and are protected. They are not considered to be threatened or endangered.